The main objective of this report is to analysis Assessment About Online Banking . General objectives of this reports are to obtain main objective, the other supportive objective need to be attempted, which are – To find out an overview of DBBL, to point out different aspects of Online Banking system of DBBL, to identify the massive problem of online banking and the problem of DBBL related to Online Banking, to identify the risk related to online banking of DBBL, to analysis the status of Online Banking of DBBL and to suggest some problem measure to overcome the problem. Finally this report make swot analysis Assessment About Online Banking. Online banking is the practice of handling all the bank transactions through internet. We are blessed with such unique technologies where all our works gets completed within seconds. Internet Banking is one of such technologies. With the help of internet banking, we can deposit and withdraw amount our self directly to our account, make all kinds of bill payments, tax payments etc. We can pay our bills like telephone, mobile, credit cards etc. through internet just by once registering with our bank. After making registration, we can pay our bills as and when required. Internet banking allow us to access our account, so that we can know instantly which amount is credited or debited in our bank account which in turn will help to solve our issues if any. It is an easier way to transfer amount to another account to which we have to make payment to the party. When we apply for internet banking, bank provides us with login id and password. The password provided by the bank should be changed immediately and should not be given to anybody else. The password should be alpha-numeric and should be changed on frequent basis. This information must be kept at utmost secret, as the password can be hacked by any person. Main Objective: The main objective of the study is to assessment the current status about online banking of Dutch Bangla bank ltd.
To find out an overview of DBBL. .
To point out different aspects of Online Banking system of DBBL. To identify the massive problem of online banking and the problem of DBBL related to Online Banking. To identify the risk related to online banking of DBBL. To analysis the status of Online Banking of DBBL. To suggest some problem measure to overcome the problem. Here given the procedure used for data collection. During the research the combination of both primary and secondary data was used. Primary Data: Primary data is always known as survey data. This type of data is collected from the respondent. Questionnaire, Semi-structure interview, observation. Questionnaire: Close ended questionnaire was used to know the reaction of customers and organization about the facility which are providing to the people. 20 customers are participating in this questionnaire. Secondary data: Collected some data from the analyzing the organization Website (Dutch bangle bank Limited and Bangladesh bank limited), Journals and Articles, Exhibition and fair. Even with a history of hefty technological investments and even larger donations, consumer and investor confidence has never waned. Dutch-Bangla Bank stock set the record for the highest share price in the Dhaka Stock Exchange in 2008. Dutch-Bangla Bank is a second generation commercial private Bank. During the period of its operation, this bank creates a milestone of success in banking sector. This bank holds an experienced team of banking professional. They achieve this success because of their experienced banking professional team, proper management & so on. 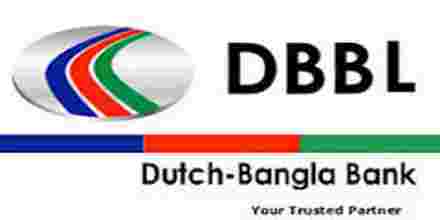 Dutch-Bangla Bank Limited is a Bangladesh–Netherlands joint venture scheduled commercial bank established in Bangladesh with the primary objective to carry on all kinds of banking business in and outside of Bangladesh. Starting with one Branch in 1996, DBBL has expanded to thirty nine (39) branches including nine Branches outside of the capital. To provide client services all over Bangladesh it has established a wide correspondent banking relationship with a number of local banks. To facilitate international trade transactions, it has arranged correspondent relationship with large number of international banks which are active across the globe. In addition to its banking activities, Dutch-Bangla Bank Limited takes part in different national activities promoting sports, culture, social awareness, etc. Participation in these activities as Sponsors are part of its business development policy. The objectives of Dutch-Bangla Bank Limited remains to offer modern & innovative products & services to its clients in Bangladesh the partnership with FMO is optimistically scene to offer scopes opportunities to draw on modern tools & techniques of Banking from western world which could be blended with the currently prevalent local customs & practice. The Bank is committed to being a sophisticated prominent and professional institution, providing a one window service to its customers. During the first five years Dutch Bangla Bank’s strategy was focused on continuing in provident of internal procedures and operating structures, to have a greater control on the quality of our business and to provide better management direction. After five years of working on the Banks structure, its culture and controls, the management is confident that the Bank can move forward on a rapid growth path. The DBBL’s corporate philosophy is to build its non-funded fees and commission income stream, thus reducing its reliance on interest income alone. Dutch-Bangla Bank dreams of better Bangladesh, where arts and letters, sports and athletics, music and entertainment, science and education, health and hygiene, clean and pollution free environment and above all a society based on morality and ethics make all our lives worth living. DBBL’s essence and ethos rest on a cosmos of creativity and the marvel-magic of a charmed life that abounds with spirit of life and adventures that contributes towards human development. A system allowing individuals to perform banking activities at home, via the internet. Some online banks are traditional banks which also offer online banking, while others are online only and have no physical presence. Online banking through traditional banks enable customers to perform all routine transactions, such as account transfers, balance inquiries, bill payments, and stop-payment requests, and some even offer online loan and credit card applications. Account information can be accessed anytime, day or night, and can be done from anywhere. A few online banks update information in real-time, while others do it daily. Once information has been entered, it doesn’t need to be re-entered for similar subsequent checks, and future payments can be scheduled to occur automatically. Many banks allow for file transfer between their program and popular accounting software packages, to simplify record keeping. Despite the advantages, there are a few drawbacks. It does take some time to set up and get used to an online account. Also, some banks only offer online banking in a limited area. In addition, when an account holder pays online, he/she may have to put in a check request as much as two weeks before the payment is due, but the bank may withdraw the money from the account the day that request is received, meaning the person has lost up to two weeks of interest on that payment. Online-only banks have a few additional drawbacks: an account holder has to mail in deposits (other than direct deposits), and some services that traditional banks offer are difficult or impossible for online-only banks to offer, such as traveler’s checks and cashier’s checks. Let’s start off with the advantages of online banking. First and foremost, online banking is very, very, very convenient. It will allow you to pay your bills and make transactions anytime during the day and the week. The bank will never close because you can access it through your laptop or computer. So, no matter in which country you are anywhere in the world, you can go online and handle your finances. Secondly, online banking is very fast, effective and efficient. Over the Internet, you can make transactions that are typically executed and performed at a much faster pace than at ATM’s. Online banking services also give you the option of handling several different bank accounts from one site itself. Security and internal control requirements. Internet: The Internet is a global system of interconnected computer networks that use the standard Internet Protocol Suite (TCP/IP) to serve billions of users worldwide. It is a network of networks that consists of millions of private, public, academic, business, and government networks of local to global scope that are linked by a broad array of electronic and optical networking technologies. The Internet carries a vast array of information resources and services, most notably the inter-linked hypertext documents of the World Wide Web (WWW) and the infrastructure to support electronic mail. Intranet: An intranet is a private computer network that uses Internet Protocol technologies to securely share any part of an organization’s information or network operating system within that organization. The term is used in contrast to internet, a network between organizations, and instead refers to a network within an organization. Sometimes the term refers only to the organization’s internal website, but may be a more extensive part of the organization’s information technology infrastructure. It may host multiple private websites and constitute an important component and focal point of internal communication and collaboration. Software: For conducting online banking operations several software are now available such as FLEXCUBE, a banking software which enables banks to process and store banking transaction data and making payments through a dedicated client-server network. Different banks use different types of software depending on the cost and other factors. The commercial banking system dominates Bangladesh’s financial sector. Bangladesh Bank is the Central Bank of Bangladesh and the chief regulatory authority in the sector. The banking sector of Bangladesh comprises four categories of scheduled banks. These are four state-owned commercial banks (SCBs), five state-owned development finance institutions (DFIs), thirty private commercial banks (PCBs) and nine foreign commercial banks (FCBs). The number of banks remained unchanged at 48 in 2008. These banks had a total number of 6886 branches as of December 2008. The number of bank branches increased from 6717 to 6886 owing mainly to opening of new branches by the PCBs during the year. Online Banking in Bangladesh is yet to develop according to international standard. At present, several private commercial banks (PCBs) and foreign commercial banks (FCBs) offer limited services of telephone banking, online banking facilities working within the branches of individual bank in a closed network environment. As a part of stepping towards online-banking, the FCBs have played the pioneering role with adoption of modern technology in retail banking during the early 1990s whereas the state-owned commercial banks (SCBs) and PCBs came forward with such services in a limited scale during the late 1990s. Moreover, the banking industry as a whole, except for the four specialized banks (SBs), rushed to offer technology based banking services during the middle of the current decade. The existing form of e-banking that satisfies customer demand in banking activities electronically throughout the world are PC banking or PC home banking that include online banking, internet banking, mobile banking, and telephone banking. Before depicting the entire scenario of Online Banking in Bangladesh a brief introduction of the overall banking sector of the country is necessary. Electronic Money (E-Money): Electronic money (also known as e-currency, e-money, electronic cash, electronic currency, digital money, digital cash or digital currency) refers to money or scrip which is only exchanged electronically. Typically, this involves the use of computer networks, the internet and digital stored value systems. Electronic Funds Transfer (EFT) and direct deposit are all examples of electronic money. Also, it is a collective term for financial cryptography and technologies enabling it. Credit Cards: Credit Card can be called as an equivalent of a loan sanctioned by the bank to its customers. Credit card facilitates and makes it possible to “Use First and Pay Later” the specified amount of credit as per the agreed terms of sanction. This card facilitates the cardholder to purchase goods and services from the merchant establishments and shops through the collaborating credit card companies like VISA, MasterCard, Maestro, and Cirrus. Debit Cards: A Debit Card provides for online electronic payment like Credit Card but from savings or current accounts of the cardholder for purchases. This card is a deposit access product where cardholder uses his own money in his bank account through the debit card on the principle of “Pay First and Use Later”. Debit card contains the symbol or hologram of collaborating company such as VISA, MasterCard, Maestro and Cirrus etc. ATM Cards: ATM Card can be used to withdraw money, deposit money, balance enquires, deposit bills in the account. The cardholder must maintain a savings bank account or current account with the bank. On issuance of card, the cardholder is intimated a four digit secret Personal Identification Number (PIN). The cardholder is always required to maintain safely the PIN to prevent fraudulent activity. Automated Teller Machines (ATM): Full elaboration of ATM is “Automated Teller Machine” which acts like a teller point in bank who takes and gives money over the counter. ATM is same as teller point but it run automatically through identity like card and password. It does not need any slip or Cheque but it is very much based on A/C holder’s ATM card and it’s Password. Those who are entitled for ATM card, bank has provided them a password against every single card. This is like a debit card. People can deposit their money in a bank account and they have entitled withdraw their money through ATM card, which is applicable for 24 hours a day and 365 days in a year. Point of Sales: Point of sale (POS) or checkout is the location where a transaction occurs. A “checkout” refers to a POS terminal or more generally to the hardware and software used for checkouts, the equivalent of an electronic cash register. A POS terminal manages the selling process by a salesperson accessible interface. The same system allows the creation and printing of the voucher. The Customer will be able to view the list of Current, Saving, Term Deposit and Loan accounts with the current balance. The Customer can choose a particular account and see the account details including unclear fund, limit, interest accrued etc. The customer can see or print his transaction activity in a given account for a particular period. The customer can transfer funds from one of his accounts to another of his accounts within the bank. The customer can setup, modify or delete standing instructions for transferring fund from one of his account to another account (his account or 3rd party). The customer can open a term deposit by transferring funds from one of his current or savings accounts with the bank. He can also modify the TD and redeem / part-redeem it. The customer can make payment of the loan installment from his CASA account. The customer can make a request for account statement for a required period. The bank will manually service this request. The customer can make a request for a Cheque book. The customer can choose an account and enter the Cheque no for which the status should be viewed. The customer can mark his Cheque leaf as stop payment. The customer can query on the interest rates on CASA & Term Deposit Products. The customer can query on the Foreign Exchange (FX) Rates using this function. The customer can buy a refill number for his pre-paid mobile phone or ISP link. The customer can change his Internet Banking Password using this function. The customer can initiate the LC application through Internet Banking. The customer can initiate the Bank Guarantee through Internet Banking. The customer can view his Loan Limits and Limits Utilization through Internet Banking. If you need help with the log in process of Internet Banking or have technical question, please call DBBL Internet Banking Help Desk at 880-2-7174095-7. Internet Banking is a product of e-commerce in the field of banking and Financial services. In what can be described as B2C domain for banking industry, Dutch Bangla bank ltd offers different online services like balance enquiry, requests for cheque books, recording stop-payment instructions, balance transfer instructions, account opening and other forms of traditional banking services. Mostly, these are traditional services offered through Internet as a new delivery channel. Banks are also offering payment services on behalf of their customers who shop in different e-shops, emails etc. This is shown that customer of Online banking registered uses their services. Types of risks associated in Online banking of DBBL. A major driving force behind the rapid spread of online banking all over the world is its acceptance as an extremely cost effective delivery channel of banking services as compared to other existing channels and its applying same condition in Bangladesh. However, Internet is not an unmixed blessing to the banking sector. Along with reduction in cost of transactions, it has also brought about a new orientation to risks and even new forms of risks to which banks conducting o-banking expose themselves. Regulators and supervisors all over the world are concerned that while banks should remain efficient and cost effective, they must be conscious of different types of risks this form of banking entails and have systems in place to manage the same. An important and distinctive feature is that technology plays a significant part both as source and tool for control of risks. Because of rapid changes in information technology, there is no finality either in the types of risks or their control measures. Both evolve continuously. The thrust of regulatory action in risk control has been to identify risks in broad terms and to ensure that banks have minimum systems in place to address the same and that such systems are reviewed on a continuous basis in keeping with changes in technology. In the following paragraphs a generic set of risks are discussed as the basis for formulating general risk control guidelines, which this Group will address. Operational risk, also referred to as transactional risk is the most common form of risk associated with I-banking. It takes the form of inaccurate processing of transactions, non enforceability of contracts, compromises in data integrity, data privacy and confidentiality, unauthorized access / intrusion to bank’s systems and transactions etc. Such risks can arise out of weaknesses in design, implementation and monitoring of banks’ information system. Besides inadequacies in technology, human factors like negligence by customers and employees, fraudulent activity of employees and crackers / hackers etc. can become potential source of operational risk. Often there is thin line of difference between operational risk and security risk and both terminologies are used interchangeably. Internet is a public network of computers which facilitates flow of data / information and to which there is unrestricted access. Banks using this medium for financial transactions must, therefore, have proper technology and systems in place to build a secured environment for such transactions. Security risk arises on account of unauthorized access to a bank’s critical information stores like accounting system, risk management system, portfolio management system, etc. A breach of security could result in direct financial loss to the bank. For example, hackers operating via the Internet could access, retrieve and use confidential customer information and also can implant virus. This may result in loss of data, theft of or tampering with customer information, disabling of a significant portion of bank’s internal computer system thus denying service, cost of repairing these etc. Other related risks are loss of reputation, infringing customers’ privacy and its legal implications etc. Thus, access control is of paramount importance. Controlling access to banks’ system has become more complex in the Internet environment which is a public domain and attempts at unauthorized access could emanate from any source and from anywhere in the world with or without criminal intent. Attackers could be hackers, unscrupulous vendors, disgruntled employees or even pure thrill seekers. Also, in a networked environment the security is limited to its weakest link. It is therefore, necessary that banks critically assess all interrelated systems and have access control measures in place in each of them. In addition to external attacks banks are exposed to security risk from internal sources e.g. employee fraud. Employees being familiar with different systems and their weaknesses become potential security threats in a loosely controlled environment. They can manage to acquire the authentication data in order to access the customer accounts causing losses to the bank. Unless specifically protected, all data / information transfer over the Internet can be monitored or read by unauthorized persons. There are programs such as ‘sniffers’ which can be set up at web servers or other critical locations to collect data like account numbers, passwords, account and credit card numbers. Data privacy and confidentiality issues are relevant even when data is not being transferred over the net. Data residing in web servers or even banks’ internal systems are susceptible to Corruption if not properly isolated through firewalls from Internet. The risk of data alteration, intentionally or unintentionally, but unauthorized is real in a networked environment, both when data is being transmitted or stored. Proper access control and technological tools to ensure data integrity is of utmost importance to banks. Another important aspect is whether the systems are in place to quickly detect any such alteration and set the alert. Arises out of a bank’s inability to meet its obligations when they become due without incurring unacceptable losses, even though the bank may ultimately be able to meet its obligations. It is important for a bank engaged in electronic money transfer activities that it ensures that funds are adequate to cover redemption and settlement demands at any particular time. Failure to do so, besides exposing the bank to liquidity risk, may even give rise to legal action and reputational risk. The credit worthiness of the customer while extending credit through remote banking procedures, which could enhance the credit risk. Presently, banks generally deal with more familiar customer base. Facility of electronic bill payment in Internet banking may cause credit risk if a third party intermediary fails to carry out its obligations with respect to payment. Proper evaluation of the creditworthiness of a customer and audit of lending process are a must to avoid such risk. In DBBL banking systems, IT and infrastructure is not as well so good and developed.DBBL has no digital database system and service is also underlined. Because of this, customers will not get right service and maintenance to their account service with securely. For carrying out Internet banking properly, a basic knowledge of computers and the Internet is required, which limits the number of people willing to avail this facility. Many people, who are not comfortable with computers and the Internet, often find it difficult to use Internet banking. Therefore, for beginners, Internet banking is really time-consuming. In addition to this, people also find a difficulty in trusting a completely mechanized system like Internet banking, in case of financial matters. In many instances, a simple mistake, like clicking a wrong button, may create a big problem. And so, many individuals often keep wondering if they have properly executed the transaction. But DBBL has no training and development opportunity for the customers to take better service. Problems are also listed in the availability of system integration in the process. Incompatibility between e banking applications and legacy systems means that most banks require middle wear to integrate these systems. System integrations has been and is still, to some extant a key barrier in e banking. Shortcomings the technologist infrastructure is often the biggest problem and also here include integrations of system. Another big problem is the management problem of different countries. Because in the time of transaction many countries have different types of legal observation and to maintain this types of observation most of the cases bank is bound to close their operation with these problematic countries. Another big problem is that most of the customers feels unsecured to make their transaction because when they make transactions this report also go to the internet service provider and this will hemp their secrecy and as perspective of Bangladesh our banking system have no individual service protocol. DBBL bank IT department is not enough strong and employees of the bank is not well trained. For that their have a tendency to passing the data over the illegal party. The Internet has provided a new and inexpensive channel for banks to reach out to their customers. It allows customers to access banks’ facilities round the clock and 7 days a week. It also allows customers to access these facilities from remote sites/home etc. However, all these capabilities come with a price. The highly unregulated Internet provides a less than secure environment for the banks to interface. The diversity in computer, communication and software technologies used by the banks vastly increases the challenges facing the online bankers. In this chapter, an effort has been made to give an overview of the technologies commonly used in Internet banking in DBBL. An attempt has been made to describe concepts, techniques and technologies related to privacy and security including the physical security. The banks planning to offer Internet banking should have explicit policies on security. An outline for a possible framework for security policy and planning has also been given. The purpose of computer networking is sharing of computing resources and data. Across the whole organization and the outside world, Computer Networks can be Primarily divided into two categories based on speed of data transfers and geographical reach in DBBL.A Local area Computer networking & Internet network (LAN) connects many servers and workstations within a small geographical area, such as a floor or a building. Some of the common LAN technologies are 10 MB Ethernet, 100 MB Ethernet, 1GB Ethernet, Asynchronous Transfer Mode (ATM). The data transfer rates here are very high.DBBL commonly use broadcast mode of data transfer. The Wide Area Network (WAN), on the other hand, is designed to carry data over great distances and is generally point-to-point. Connectivity in WAN set-up is provided by using dial-up modems on the Public Switched Telephone Network (PSTN) or leased lines, VSAT networks, an Integrated Services Digital Network (ISDN) or T1 lines, Frame Relay/X.25 (Permanent Virtual Circuits), Synchronous Optical Network DBBL often use Virtual Private Networks (VPN) which are software-defined Dedicated and customized services used to carry traffic over the Internet. The different topologies, technologies and data communication protocols have different implications on safety and security of services. To standardize on communications between systems, the International Organization of Standards developed the OSI model (the Open System Interconnection Reference Model) in 1977. The OSI breaks up the communication process into 7 layers and describe the functions and interfaces of each layer. The important services provided by some of the layers are mentioned below. It is necessary to have a good understanding of these layers for developing applications and for deploying firewalls (described later). Application Layer: Network Management, File Transfer Protocol, Information validation, Application-level access security checking. Session Layer: establishing, managing and terminating connections (sessions) between applications Transport Layer: Reliable transparent transfer of data between end points, end to end recovery & flow control. The data transmission protocol suite used for the Internet is known as the Transmission Control Protocol/Internet Protocol (TCP/IP). The Internet is primarily a network of networks. The networks in a particular geographical area are connected into a large regional network. The regional networks are connected via a high speed “back bone”. The data sent from one region to another is first transmitted to a Network Access Point (NAP) and are then routed over the backbone. Each computer connected to the Internet is given a unique IP address (such as 142.16.111.84) and a hierarchical domain name(such as cse.iitb.ernet.in).The Internet can be accessed using various application-level protocols such as FTP (File Transfer Protocol), Telnet (Remote Terminal Control Protocol), Simple Mail Transport Protocol (SMTP), Hypertext Transfer Protocol (HTTP). These protocols run on top of TCP/IP. DBBL is also consists with World Wide Web (WWW).Customer uses hyperlinks, which allow users to move from any place on the web to any other place. The web consists of web pages, which are multimedia pages composed of text, graphics, sound and video. The web pages are made using Hypertext Markup Language (HTML). The web works on a client-server model in which the client software, known as the browser, runs on the local machine and the server software, called the web server, runs on a possibly remote machine. Some of the popular browsers are Microsoft Internet Explorer and Netscape Navigator. With the popularity of web, DBBL find it beneficial to provide access to their services through the Internet to its customers. In a typical situation, a component of the application runs (as an ‘applet’) within the browser on user’s workstation. The applet connects to the application (directly using TCP/IP or through web server using HTTP protocols) on the organization’s application and database servers. Their servers used different computer systems. The web-based applications provide flexible access from anywhere using the familiar browsers that support graphics and multimedia. With discussing everything we realize something. However, with the advances in technology, many banks have taken the adequate measures to ward off any problems related to the security of Internet banking. Customers can also follow some simple precautionary measures, like not disclosing the password and pin number to anyone, changing the password at regular intervals and installing antivirus software to ensure security and safety of their Internet banking transactions. Online banking tutorials are also provided by many banks to help familiarize people with Internet banking. So, you can avail this facility to use Internet effectively, for making your day-to-day financial transactions. To analysis we can some tools of analysis, these are as follows. To find out the rationality of a product we must perform a swat analysis of this product and services. This wills analysis the strength, weakness, opportunity and threats of the particular services or product. To analysis the performance of online banking of DBBL we the following analysis is considered. Actually online banking service of Dutch bangla is not so aborigine. They are now just providing services of bank transfer, balance check, make payment and especially fund disbursement is not possible now here. These are the simple functions they are now performing. Also they are not using http server to secure this service and they haven’t yet provide customer training for getting the services clearly and easily. It is cheap both for the banks and customers. The bank will be able to lower down the overhead costs and make more profit out of it though we know they are now already getting huge profit from this and we hope if they can minimize cost there mark up will arise. Again the customers will be also able to meet their needs with a short time. Internet banking is convenient as the services are available all the time at just a click away. Security breakdown: The system will have a problem with the identifations of the individual who is actually initiating the transactions though from bank their have given an account and password. Actually in Bangladesh the identification of an individual is not yet supported digitally but recently DBBL have taking initiatives to ensure it. So there have a problem in moving to the internet era for banking purpose just now. First DBBL have to develop a digital database to ensure the service with maintaining security. The transactions can’t be cancelled via internet. So there have a problem in executing the services with full functionality. DBBL offering non branch banking facilities. Now a person can withdraw or deposit money in any branch of the bank that he has accounted with. So moving uses of online banking are becoming very common to all. I also think service offer from bank through the internet will also be widely accept in a neat future. People have concern about their security and privacy. Most of them like to fell their money with their hand. They actually don’t believe in virtual money transfer. In the field of IT technology is coming everyday. The one which is very popular today might have obsolete tomorrow. So to have a competitive edge over the competitive banks must always update and easy as well as secure their services. The main benefits of online banking is the amount of time thus money it saves. Although internet banking is restricted to managing account and making online transactions, its cut out much of the needs to personal visit to bank. Using internet banking will also increase the efficiency of paying money bills, debt and wages as it reduce the need for writing and sending cheque .where it can takes five days to take clear. Wages and salary payments are also easy with this. Online banking is able to offers customers higher interest rates than high street banks due to their reduced overheads. Though online banking of DBBL have taken an investment of more money but now operating expense will be much lower. Again also customers will be satisfied through fast, accurate, east to use, and comprehensive delivery of services. Last couple of years DBBL has increasing their services security and clarity and they are also emphasizing on online banking with consisting situations of banking world and are also enforcing comprehensive applications of it. The bank expert has determining that this sector will take by 100 percent customers who will play a vital role in banking growth and as well as financial sector. As giving the emphasize from BSangladesh bank it will develop easily as a forecasting result BB has already develop automated clearing house. Already bank authority are also taking initiatives to train up their employee to provide the better service .its also now over viewing that customer efficiency and satisfactions are also increasing gradually. With observing and analyzing to dutch bangla bank ltd about their online banking I have got many things ,some thing I have got special than others and which are carry extra goodwill for the bank after all I thing their service is good but I would like to add something to their services and their operations. As I thing that this will make an extra facility to the customers as well as this will ahead to a good position. Bank should develop a digital database system. There have too much to be concerned of security. The websites for banks use the https: protocol and that can be snooped upon by any third parties. The bank authority should indicate the explorer because their have some explorers whose are save client password. When customer make claim against bank then they should take quick actions. Its have a tendency to do of money laundering so they should analyze each and every transaction. They should less their service charge by this they will make huge customers. In time of international transaction customers face many problems related with different countries management condition. So DBBL should clear everything to the customers. They should maintain international trisections curriculum to make them more grunted to country abroad. Especially they have to ensure how will bank customers feel about having their personal and financial details thrown into the collective pot for analysis of recommendations to other customers? I think it may take some getting used to, but that kind of information is undoubtedly being aggregated inside of banks The prospect of allowing users to benefit directly from their collective data is an appealing one. As globally enhancing of information technology used also Bangladesh is maintaining the serial, here dutch bangla bank participating a great roll with performing internet as well as online banking and they have take a leading position in online banking. This it’s containing a great beneficiary to the people but there have something which will be cause of hemp economy and customers privacy. For that bank have to take much initiatives to contain free from these risk. Online banking is making business so much easier that any time fast I think so. They have to emphasize into online banking because it will take low operating cost for both customers and bank as well it will increase profitability if bank . With following the better service structure online banking will reach door to door to customers and will make customer’s life easy to easier.